Everything was very tasty. La Pres is a shredded beef and Queso de Mano sandwhich in a corn pancake. Very tasty. My one complaint would be that it completely fell apart while eating, so I pulled out a knife and fork. But very tasty. Very flavorful beef. I especially liked the Tequenos and their sauce. I loved the cachapa! The pancake was cooked just right, and tasted just like good cornbread. The beef was moist and flavorful, and the cheese was cooked just enough to be soft and melty like a really good pizza. The rice pudding was sweet and creamy, and they put cinnamon on it, which added just the right touch. All in all, it was a perfect meal, and I'll definitely be back next time they're at Courthouse! First time at ArepaZone, not the last. 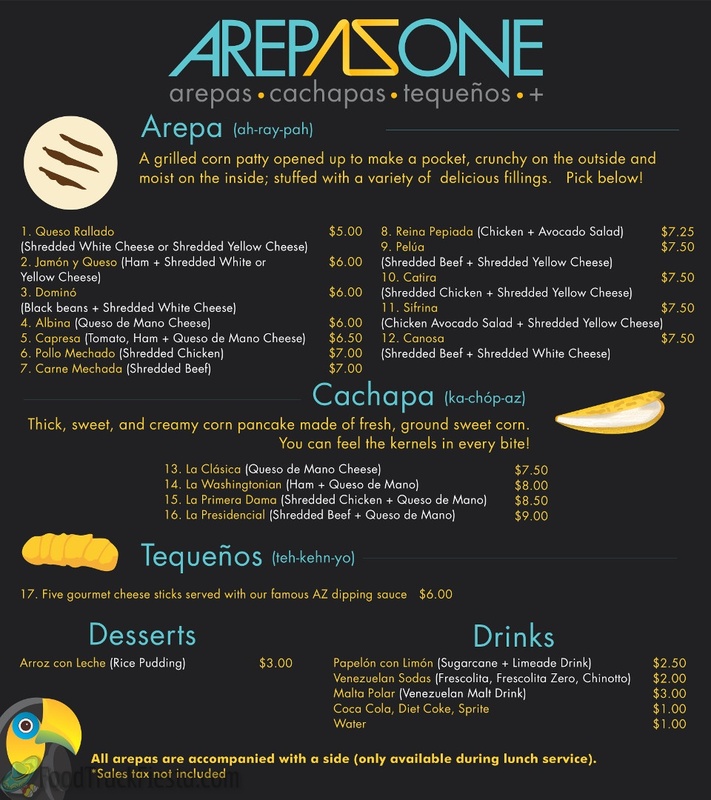 I ordered the chicken and avocado salad - the arepa was hot and crispy, not greasy at all. Chicken / avocado salad was fully stuffed - the arepa barely held it all in. The salad itself was very tasty, although not necessarily spectacular, but with the arepa, it really kicked it up a notch. If this was served on a standard white/wheat/rye bread, would definitely take it down a star or two, but all in all, was a very tasty lunch. 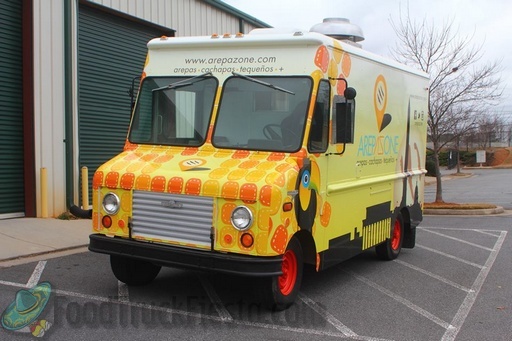 Maybe a little small for a whole lunch, but in line with other food trucks. 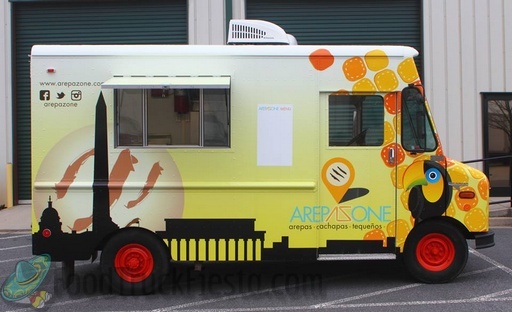 Arepa Zone food truck is an authentic Venezuelan food establishment. Serving the Washington, DC area (Arlington, to start). Click the menu for a larger version!